An easy pasta dish that screams comfort-food delicious. Linguine Carbonara with Bacon is one of those dishes you nearly always have the ingredients for and comes together in less than 30 minutes. I am such a pasta-lover. 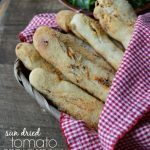 It’s so easy and versatile — you can dress it up hundreds of different ways and it is always delicious. The problem with pasta is that my freak-of-carb-nature other half is not so crazy about pasta. So have have to reserve my pasta recipes for days of complete necessity. Days that are crazy and I pretty much only have time to boil water. Or days that I have strategically avoided the grocery store for a week because it feels like a chore. Or days where the washing machine floods the downstairs with an inch of water. Twice. That day I ordered sandwiches and washed them down with 3 glasses of wine. But for all the other days, this super simple, stick-to-your-ribs pasta dish is THE BESSSST. The cheese and eggs coat the linguine to make a rich creamy sauce. The bacon is… well it’s BACON. And Brussels sprouts are my favorite! 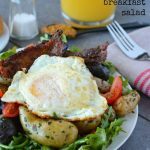 The crispy Brussels sprouts with a hint of garlic are my favorite part. 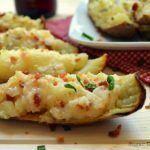 Easy cozy comfort food! 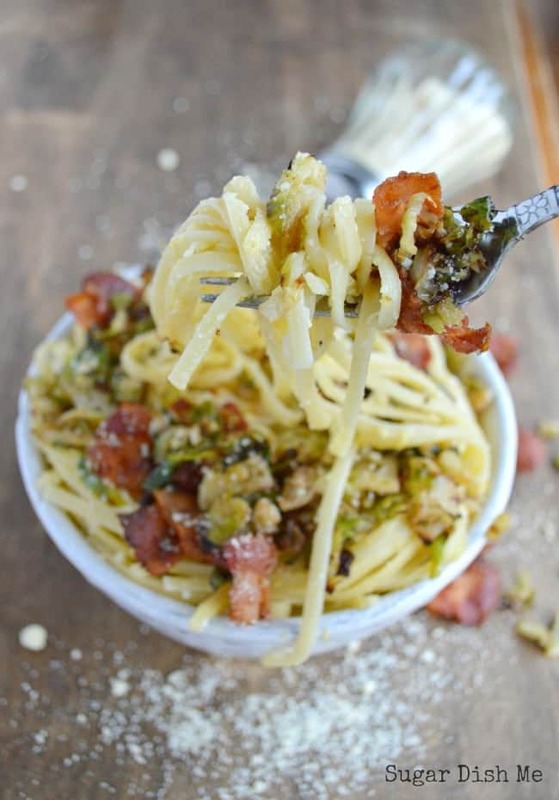 Linguine tossed with a sauce made from egg and Parmesan cheese, crispy bacon and Brussels sprouts. Get the water for the pasta on the stove and cook according to package instructions. Make sure to reserve 1 cup of the cooking liquid before draining the pasta. In a deep skillet cook the bacon until crisp and then set it aside on paper towels to drain. Remove any excess grease in the pan, leaving only about a tablespoon to cook the Brussels sprouts. Add the olive oil to the skillet and let it heat up. Then add the garlic and let it cook over medium heat just long enough to be a little fragrant -- burned garlic is bitter so be careful. It will only need a minute. Add the Brussels sprouts and let them cook for about 5 minutes over medium to medium high heat until they are crispy and toasted. 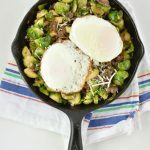 Remove the Brussels sprouts from the skillet and set aside for just a minute. Leave the skillet off the heat. Pour in the eggs and the cooked linguine. Toss the pasta with the eggs to coat, adding a little of the cooking liquid to the pan just to move things around. Add the cooked bacon and Parmesan cheese, tossing a little more to coat the pasta and mix it up well. 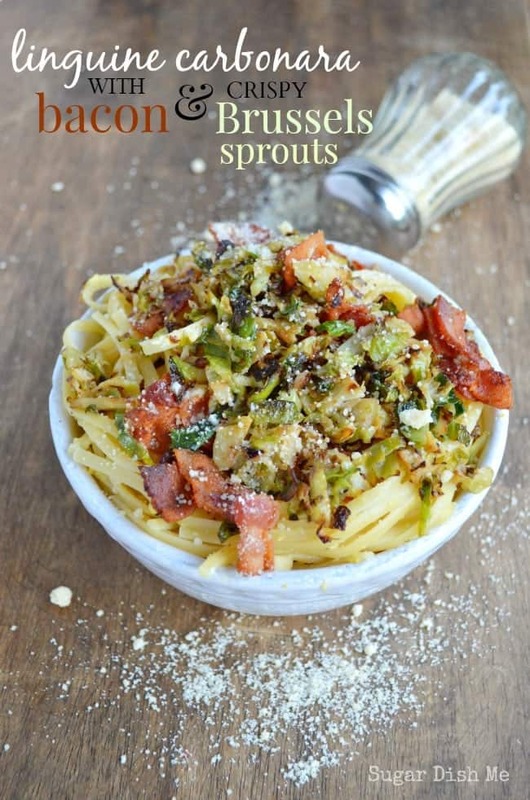 Top with the crispy Brussels sprouts and serve warm. OMG, Heather, I want this for lunch RIGHT NOW! But I am stuck at work til 5…..
Betcha know what is happening for dinner at MY house tonight! I hate those days where you don’t have time to boil water. Happens too often. Those are the days I consider hummus and crackers dinner. 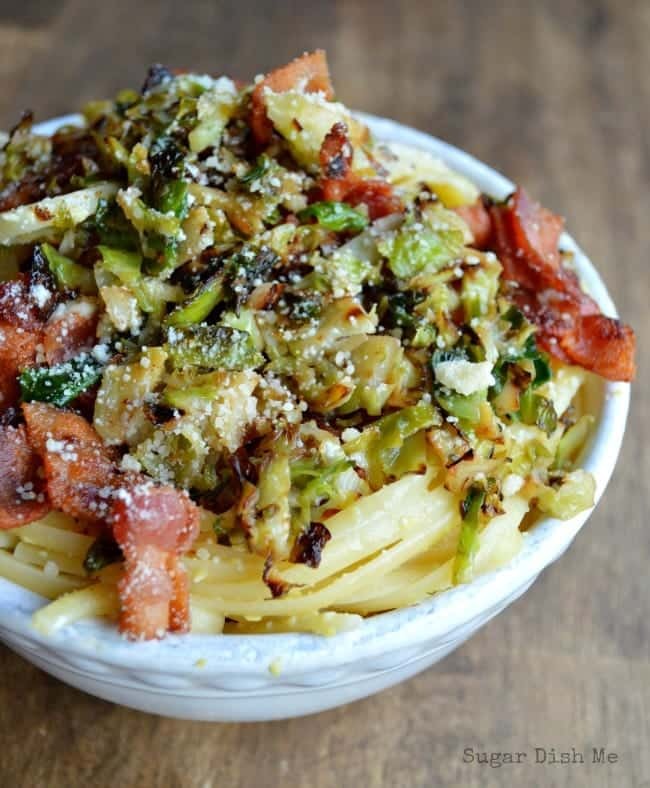 Better be sure to always have bacon and Brussels sprouts on hand, because this sis way better than crackers and hummus.